The natural world produces some amazing things. 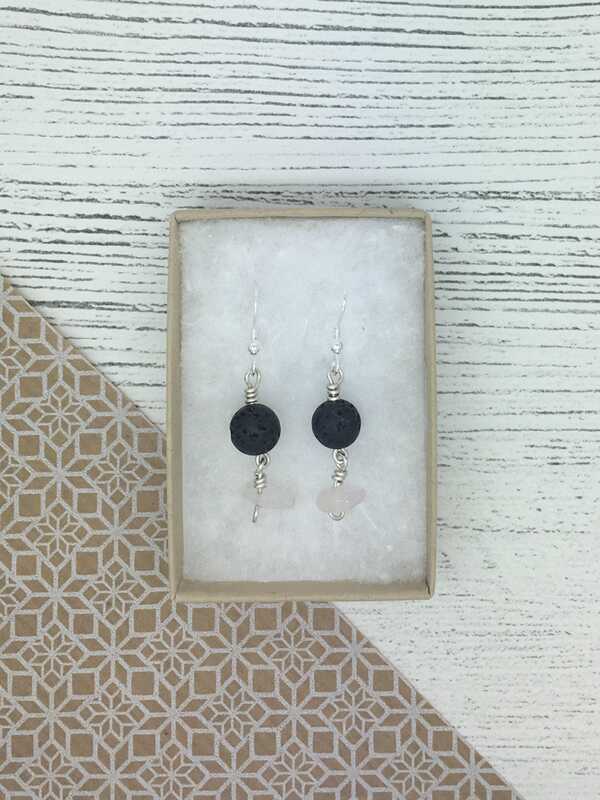 These beautiful lava and rose quartz earrings are an awesome example of this! I use round black lava beads along with rough cut, polished rose quartz stones to create these little cuties. Sterling silver findings hold the beautifully contrasting stones together. Lava is said to have an energy for strength and calm, while rose quartz is the stone of love! 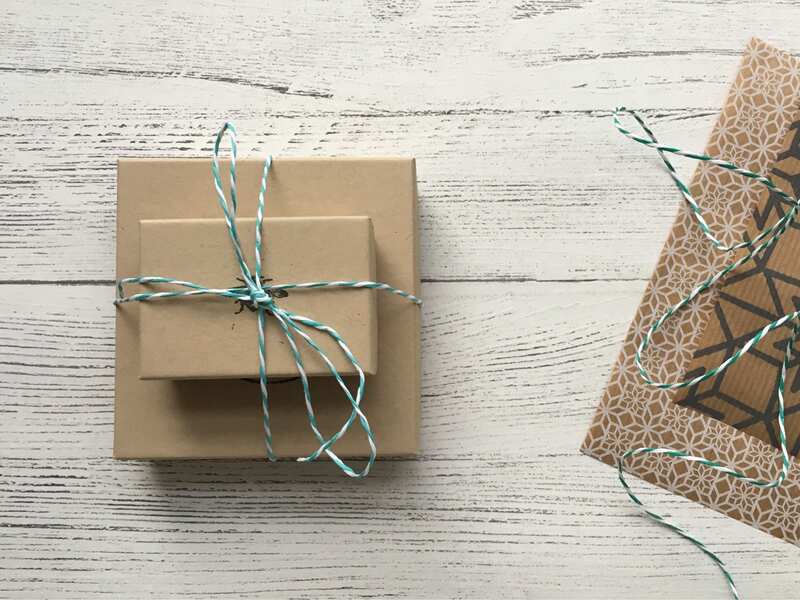 The lava and rose quartz earrings gently rest on white, non-tarnishing cotton inside a recycled brown box. 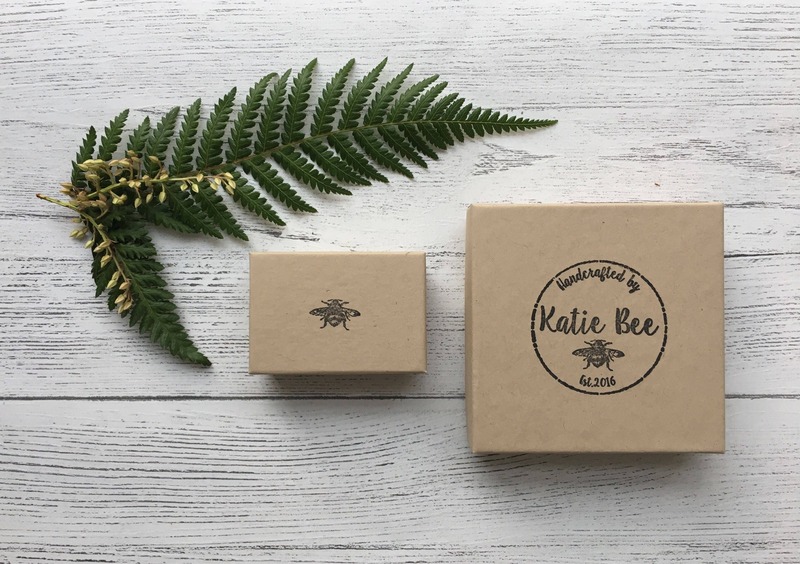 Each box is stamped with the Katie Bee bee before being carefully packed for its journey to you.